60% of Crowdfunding campaigns fail to reach their goal. Check out the biggest crowdfunding problem and how to fix it. For every phenomenal crowdfunding success like Reading Rainbow, which exceeded its funding goal by $4.4 million, there are thousands of other campaigns that fail. Is it due to a bad product concept? Not always. More often than not, the reason crowdfunders can’t hit their goals is because they don’t market their campaign properly. It just sits on Indiegogo or Kickstarter, gathering dust and waiting for its deadline. If people aren’t aware of your campaign, how can you expect them to help you reach your mark? 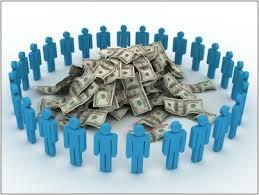 Not sure what crowdfunding is or how you can use it for your business needs or special project? Check out this free crowd funding webinar. Crowdfunding marketing is essential for any business, but it’s absolutely imperative for something as short-lived as a crowdfunding campaign. Without constant nudging of your large network, you will lack the support it takes to raise even the smallest funding amount. I have talked with crowdfunders about this biggest crowdfunding problem extensively. No matter what the campaign idea, much of the time a campaign can be turned around with just five marketing ideas. I wanted to provide a few marketing pointers to get you moving in the right direction with your crowdfunding campaign. Create a compelling video. People like the visual, so a clear and concise video (two minutes or less) outlining why you’re raising money can help you appeal to your audience. Remember: you need to tell your story to engage people. Few of us fancy ourselves hugely photogenic but you absolutely must have a campaign video and you should be in it. Yancey Strickler, cofounder of Kickstarter, reports that projects with videos have had a success rate of 54% while those without a video have only been successfully funded 39% of the time. Leverage your email network. If you have an email list of at least 2,000, you’re off to a good start. Now you need to create a calendar of updates to send to your network. Aim for a balance between annoying people with the frequency and creating enough of a sense of urgency where they take action. Also, it’s useful if you know five to 10 people with big email lists that are willing to spread the news about your crowdfunding campaign to their contacts. Your email list is pure gold and the biggest reason for starting a pre-launch crowdfunding campaign. By collecting email subscribers early, you have the potential to boost funding in the first days of your campaign and build that social proof that will convince others to donate. A blog or basic website is extremely easy to set up but a simple one-page subscriber site is an absolute must. Click through for a special deal from Blue Host WordPress hosting for a free domain name and 12 months of hosting for just $3.95 per month. “Friend-Raise” on social media early. It’s a real boon for your campaign if you’re already active in a social media community so that people are already eager to support you. Keep your ratio of social updates at about a 4-to-1 meaning send four non-crowdfunding-related updates to one directly talking about the campaign and linking to it. This 4-to-1 relationship is a popular one for social media. Too many people use the social media sites as a one-way street to blast out their message. That’s not social! Social media is about give and take. Repost other people’s content, answer and ask questions of people in your network. The engagement will build community, the community will build trust and the trust will drive your crowdfunding success. 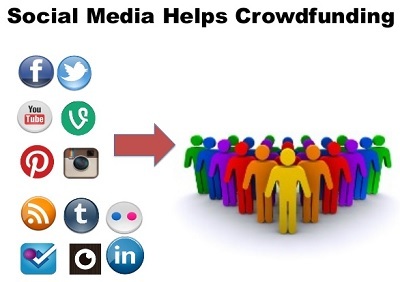 Using a social media management tool like Hootsuite Pro makes crowdfunding communications much easier. A successful campaign needs to be updating supporters and reaching people through social media several times a day. Hootsuite lets you link all your social profiles to one page and manage everything easily and quickly. Make it easy to share your campaign. If you have a network you know will help spread the word, make it real simple for them to do so. Create emails, social updates, and blog posts that they can easily copy and paste to get in front of their contacts. The easier it is, the more the support you’ll have. Technology makes it extremely easy to share internet content. The floating share buttons on the left of the screen took about five minutes to set up and have been great in sharing the info on the site. Connect with bloggers. Three months before you plan to launch your crowdfunding campaign, identify the top 15-25 bloggers in your industry. Start building a relationship with them now by reading and commenting on their content, connecting on social, and engaging however you can. That way, when your campaign launches, you’re not coming out of left field with your request to share the news. One warning here, watch out for crowdfunding consultants and other service providers. There are some legit services but know the facts to avoid crowdfunding promotion scams. Instead of paying hundreds from crowdfunding promotion services, try out a few projects on Fiverr.com for smaller tasks that can help market your campaign. Fiverr projects start at just $5 which means you can try out different projects and freelancers to see which provide the best results. Marketing your campaign takes a lot of work. But the payoff is that cash infusion that you’ll get by having hundreds or thousands of people support your campaign and help you achieve your business goals. Today’s article is a guest post by Melinda Emerson, the “SmallBizLady.” Melinda is an expert and speaker on small business start-ups, development and social media marketing. Named by Forbes magazine as the #1 woman for entrepreneurs to follow on Twitter, she has recently released Become Your Own Boss in 12 Months. I want to thank Melinda and wish her success on her book. The horrible success rate among crowdfunding campaigns always amazes me. Crowdfunding take work but there is a simple process you can follow and a lot of information out there on how to run a successful campaign. Follow a few key rules and you’ll be well on your way to meeting your crowdfunding goals. Thank you, Melinda. I will use this information to plan my crowd-funding campaign. I knew video was crucial but didn’t think I needed to be in it! Definitely helps to be in your own video, unless you can get a high-profile celebrity. Building a sense of community and connecting personally with potential supporters is one of the most difficult in crowdfunding. It’s hard to trust some faceless crowdfunder but seeing you in the video making a personal plea goes a long way to building that trust. Thanks for the comment. Let me know how your crowdfunding planning is going. Would love to feature your experience on the site.